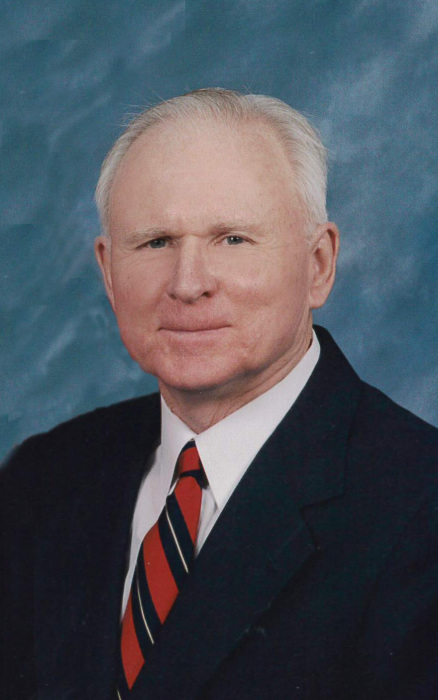 Douglas Reid House, 80, of Locust, passed away and received his healing in Heaven, Wednesday, April 3, 2019. Doug was born February 9, 1939 in Charlotte to the late Harry and Muriel House. He was also preceded in death by sister, Frances H. McWhirter. Doug graduated from Central High School. He served as a Marine Reserve for six years. Doug attended Kings Business College and obtained his Chartered Property & Casualty Underwriter (CPCU). He retired from Duke Energy after 35 years as Risk Manager. Doug was a member and past deacon of Hickory Grove Baptist Church, Charlotte. Survivors include beloved wife of 55 years, Jaye House; son, Steve House; son, Andy House; grandchildren, Tia (James) Rogers, Dyanna House and Meggan House; great-grandchildren, Arwen and Lizzy Rogers; nephew, David (Sherry) McWhirter; and four Godchildren, Nestor, Pedro, Ingrid and Edwin. The funeral service will be 11:00 am, Monday, April 8, 2019 at Hickory Grove Baptist Church, Charlotte, officiated by Rev. Arnold Kessler and Rev. Romie Horton. The family will receive friends following the service in the sanctuary. Doug will be laid to rest during a private committal at Carolina Memorial Park, Harrisburg. In lieu of flowers, please consider a memorial donation to Hickory Grove Baptist Church, 7200 E. WT Harris Blvd, Charlotte, NC 28215 or Forgotten Children's Ministry, 5959 Shallowford Rd, Chattanooga, TN 37421; forgottenchildfund.org. Hartsell Funeral Home of Harrisburg is serving the House family.